ISM Trainings 2017-2018 are already finished – evaluation was very positive! – Entrepreneurship with vision! ISM trainings were organised in Poland, Lithuania and Slovenia. 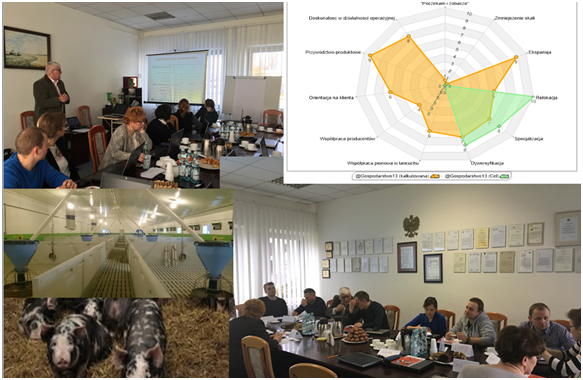 In Poland two groups of farmers – beef cattle breeders (12/2017) and pig breeders (01/2018) and one group of agricultural students (03/2018) had an opportunity to work with ISM Tool and prepare the farm strategy. Additionally there was a Marketing training (03/2018) for farmers from different sectors but selling products directly to the consumers. 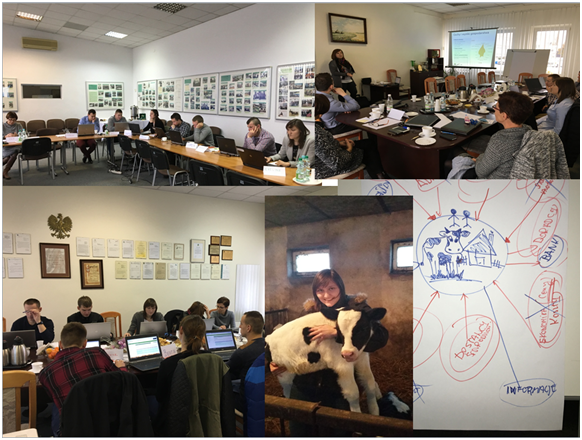 In Slovenia, the three trainings were organised with beef cattle farmers, crop farmers (03/18) and beekeepers (05/17), and three trainings with students (03/17; 05/17; 05/18). Marketing training was organised in 02/2018 for a large group of farmers. In Lithuania ISM Trainings were in two groups of farmers – Crop farmers (02/18) and Beef farmers (02/18). The training with students was organised in March 2017 and Marketing training in March 2018. The effects of the evaluation show that farmers expressed that the training was useful for them, and since the training they have a different view on their business. They are more self-confident and more aware about their own and their farms’ strengths and weaknesses and the environment. In general, the farmers were appreciating the common discussions with other people and emphasized the good atmosphere and well prepared trainers. Farmers found the ISM tool and the method very interesting and innovative. It was important to note that almost all participants would recommend the training to other farmers.